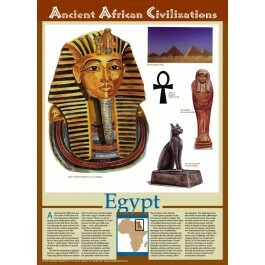 This unique educational poster features several illustrations depicting artifacts and achievements of the ancient African civilization of Egypt, along with a clearly explained description of that civilization, and a small map showing its location in Africa. Ancient Egypt, one of the world's first and most important civilization, sprang up in Northeastern Africa approximately 5000 years ago. The pyramids they built still astound people today and prove that Egypt was a scientifically advanced civilization. 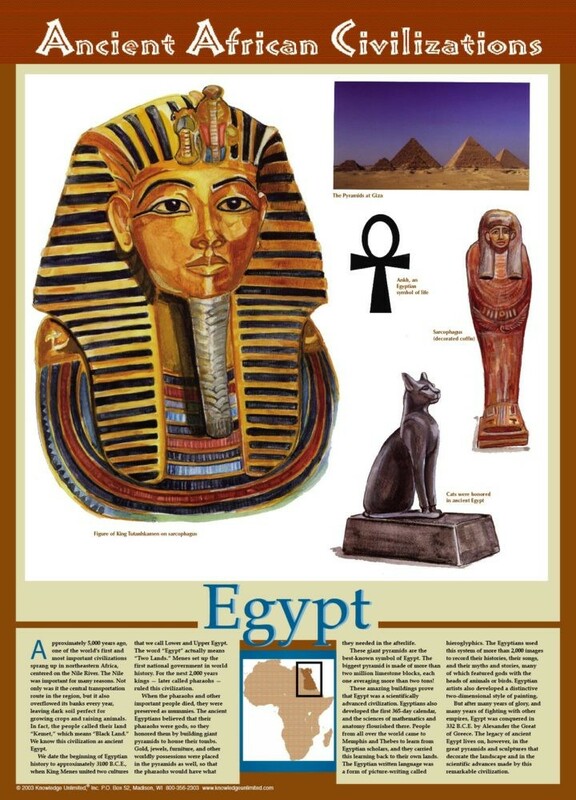 This poster is a great way to introduce students to this remarkable civilization and its achievements.